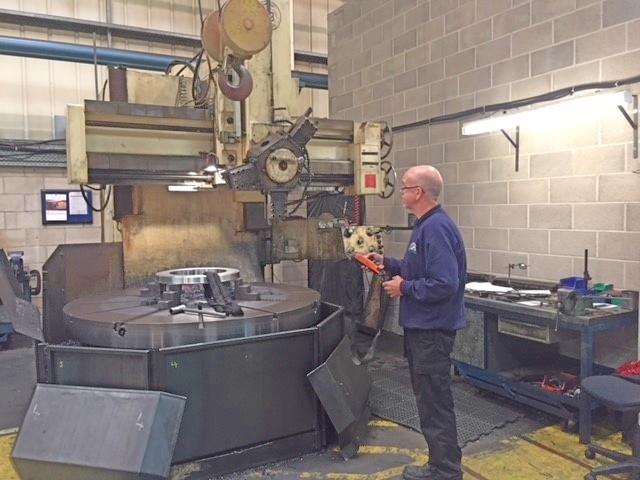 Pentag Gears and Oilfield Equipment Ltd, a designer and manufacturer of high quality gearing, has relocated to larger premises in Chesterfield, where its parent company BG Engineering, a leading subcontractor for precision machined components is based. The facility in Holmewood provides the opportunity for Pentag to expand its customer base in the mining, manufacturing, marine and steel work industries due to access to the greater resources and technology of its parent company. The relocation from its premises in Sheffield took six weeks in total and involved the transfer of Pentag’s machines out of concrete foundations into BG Engineering’s 84,000 ft2 premises. The machines include a Sunderland 27SDH Spur & Double Helical Gear Planer, which is capable of cutting an eight-foot ring gear and is believed to be the only one of its kind in the country; as well as a Sunderland 27 Spur Gear Planer and other essential pieces of equipment from their comprehensive machine shop including a 72” table Webster Bennet vertical borer. Pentag Gears and Oilfield Equipment was founded towards the end of the 19th Century in Sheffield under the Wilmot North name as a pattern, wheel and gear manufacturing company. It has since become one of the most progressive designers and manufacturers of high quality, bespoke industrial gears and oilfield equipment in the UK. Cooper Brown Enterprises (CBE), owned by Marie Cooper and Chris Brown, invested in BG Engineering in 2017. BG Engineering, which is also co-owned by Managing Director, Anthony Holmes, acquired Pentag Gears and Oilfield Equipment in May 2018. In August 2017, CBE also acquired a controlling stake in NiTEC Engineering Ltd and Spire Laboratories.